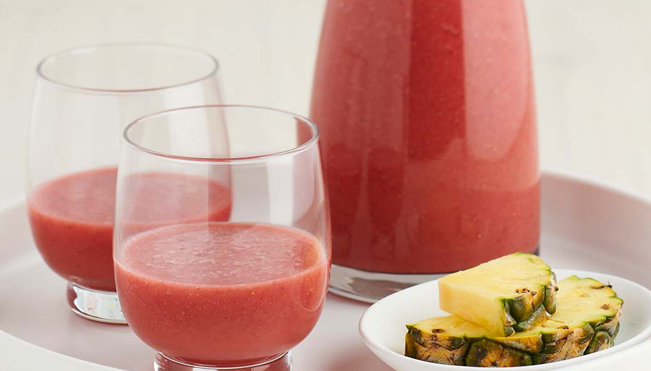 In a food processor, blend pineapple, strawberries, mango and Complete Dairy milk until smooth. Blend until well combined. Pour into tall glasses. Serve with a wedge of pineapple.